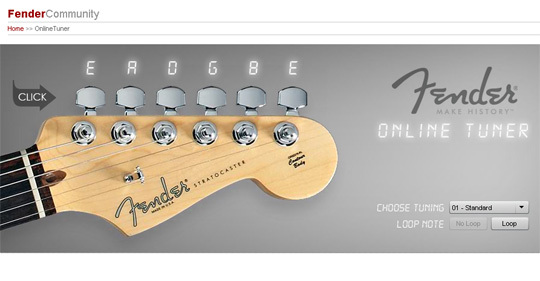 Today I was on the Fender website and accidentally found a nice little tool there: the online guitar tuner. 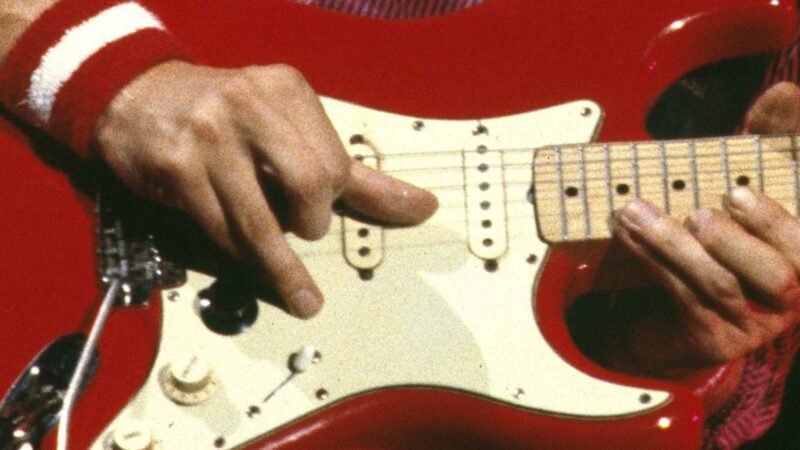 When you click on one of the six tuners of the peghead, the software will play a sample of the corresponding note, played with a clean Fender sound. There are some very useful options: loop on or off (the note will be played again and again in loop mode), and you can select the tuning – standard or all different kinds of open or special tunings. You can even create your own tuning. The only thing that is missing is the option to fine tune to another root pitch than 440Hz – but to be honest, not something many of us really need.